Muscle expertise centre, The Institute of Myology engages many healthcare and clinical and basic research specialists. Gillian Butler-Browne is currently Director of the Myology Research Centre. 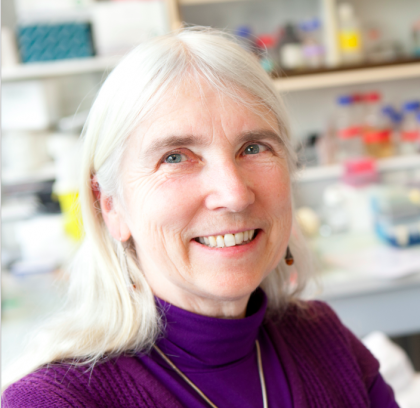 She began her career in muscle research in the laboratory of Professor François Gros at the Pasteur Institute in 1977. In 1983, she was recruited at INSERM and obtained funds from the AFM and the MDA to set up a research group on human muscle, its development and pathology, subjects that she has investigated throughout her career. More recently, her group has focused on the influence of the limit in proliferative capacity of precursor cells on the regenerative capacity of human skeletal muscle. Her group, now led by Vincent Mouly, has developed various in vitro and in vivo models to evaluate the regenerative potential of the skeletal muscle. Gillian Butler-Browne is participating in the ongoing clinical trial evaluating the transplantation of autologous myoblasts in oculopharyngeal muscular dystrophy (OPMD), in collaboration with Professors Sophie Perier and Jean Lacau St Guily. She has participated in European networks in the 4th, 5th, 6th and 7th FP and coordinated Myoage in FP7. She has published over 200 articles in international scientific journals. Gisèle Bonne joined the Institute of Myology in 1996 and leads one of the teams at the Myology Research Centre. This team is studying the genetics, pathophysiology, and development of therapeutic approaches for so-called retractile myopathies, myopathies related to collagen type VI and Emery-Dreifuss muscular dystrophy. She coordinates the French network for Emery-Dreifuss muscular dystrophy and other laminopathies. 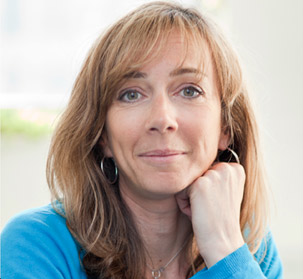 Gisèle Bonne joined Inserm in 1996 and is now research director. She obtained her PhD in developmental physiology from University Paris Diderot in 1994 and completed post doctorate fellowships in the laboratory of Ketty Schwartz and Michel Fardeau in Paris and at the University of Colorado, Boulder, where she trained in molecular genetics. 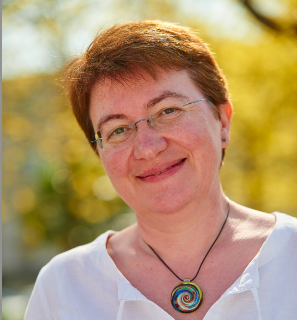 Gisèle Bonne is President of the French Society of Myology, coordinates the international doctoral program Myograd, between Paris and Berlin, and has published 125 articles in international journals. 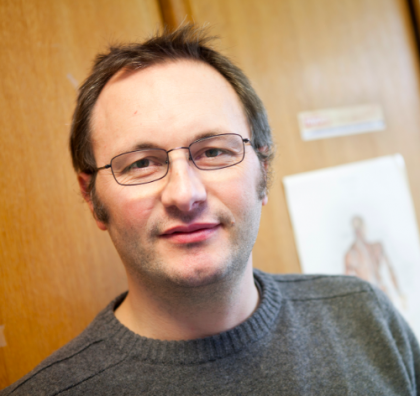 Vincent Mouly leads Team 4 of the Myology Research Centre. He began his muscle research career in the laboratory of Professor François Gros at the Pasteur Institute in 1982, under the supervision of Marc Fiszman. He was recruited by the CNRS after his PhD on muscle development in 1990 and secured funding from the AFM and FRM to start his career on the regeneration and pathology of human muscle stem cells, a theme that has become the focus of his research activities over the years. In 1992, in collaboration with Gillian Butler-Browne, he set up a group to investigate the regenerative capacity of muscle precursor cells in humans. He then joined the Institute of Myology and expanded his research to OPMD (for which he participated in the development of a cell therapy clinical trial), DMD and ALS diseases for which his group studies the modification of the endosomal and secretome pathways. Finally, he has created a platform to produce pathological and control immortal human muscle cell lines that are used worldwide to evaluate therapeutic strategies. He is also associated with the Sorbonne University as a member of its scientific committee, project manager for technical platforms in biology and medicine, and board member of the largest doctoral program at Sorbonne University. Moreover, he is a member of the French Society of Cell and Gene Therapy. He has published more than 100 articles in international scientific journals. 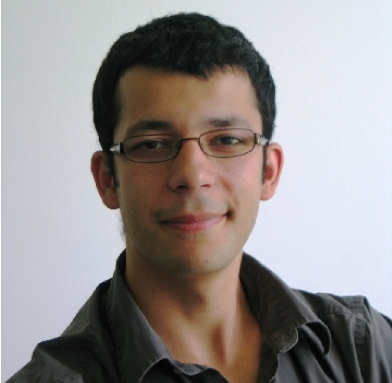 Marc Bitoun holds a Ph.D. in neurosciences from the University Claude Bernard Lyon I (1999), and is an INSERM research fellow (CR1) since 2008. He joined the research unit of the Institute of Myology in 2004, where he has led a research team interested in centronuclear dominant myopathy since 2014. This team combines fundamental (role of the endocytic machinery, determinants of nuclear position in muscle) and preclinical (development of therapeutic strategies) research skills. Marc Bitoun has published 37 articles in international journals. 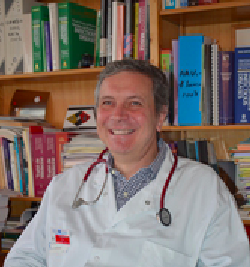 Olivier Benveniste is University professor and hospital practitioner in Internal Medicine in the Internal Medicine and Clinical Immunology department that he leads at the Pitié-Salpêtrière hospital. In adults, he manages polypathology that is not associated with an organ specialty, downstream of emergencies and / or treatment of systemic diseases such as myopathies, notably inflammatory myopathies. Clinical and research activities that he carries out in immunology applied to muscle are organised around several axes. His clinical activities take place essentially in the Internal Medicine Department, which is part of the Reference Centre for Neuromuscular pathologies, East Paris (Lead by B. Eymard), where he is in charge of myositis. Clinical trials for muscle diseases conducted in collaboration with the Institute of Myology and Genethon are held at the Integrated Centre for Gene Therapy, that he created in the same Internal Medicine Department. Finally, the most basic translational research takes place at the Myology Research Centre (Lead by T. Voit) within the Inflammatory Muscle and Innovative Targeted Therapies team that he set up. He also has educational activities and participates in several actions aimed at improving the acceptance and knowledge of patients with myositis. He has published over 110 articles in international scientific journals. Training cardiologist, Karim Wahbi has been working on cardiomyopathies associated with neuromuscular diseases since 10 years. He is a senior lecturer and hospital practitioner in the Cardiology department at the Cochin Hospital, Reference Centre for the cardiac management of myopathies. He also supervises the “Databases and registers” service of the trials unit at the Institute of Myology. 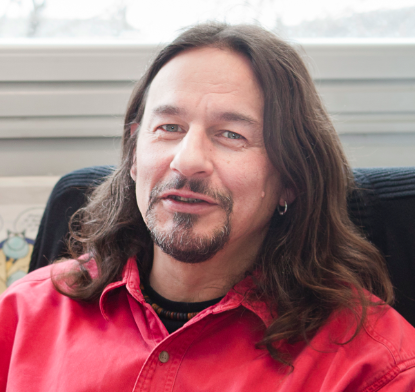 France Piétri-Rouxel is a CNRS research fellow (CR1). She worked at Genethon between 2004-2006 in the Biotherapies of neuromuscular diseases team then joined the Institute of Myology where she leads the “Therapy based on RNA repair and pathophysiology of dystrophic muscle in the dystrophinopathies” team. In this context, she is in charge of a translational program concerning gene therapy for Duchenne muscular dystrophy, which develops approaches ranging from basic research to clinical trials. France Piétri-Rouxel has published 30 articles in international journals. Sonia Berrih-Aknin co-directs the “Myasthenia” research team with Rozen Le Panse, within the Myology Research Centre. She has obtained two PhDs (Doctorat de 3ème cycle in 1979 and a Doctorat d’Etat in 1984) in Immunology from the Pierre and Marie Curie University. Sonia Berrih-Aknin was recruited by INSERM in 1984 to work at the Marie Lannelongue Surgical Centre on myasthenia gravis. She joined the Institute of Myology in 2010 to be closer to clinicians and experts in myology. Her research is focused on autoimmune myasthenia gravis, its aetiology, pathophysiological mechanisms and the development of new therapies. Sonia Berrih-Aknin was very much involved in research on myasthenia gravis at the European level, where she has coordinated three research projects and a public health project since 2001, involving a total of more than fifty European teams (research teams, clinical groups and patients’ associations), and organized several international meetings on this subject. 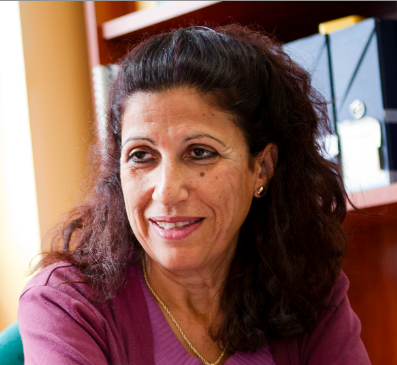 Sonia Berrih-Aknin has published 165 articles in international journals. Denis Furling, CNRS Research Director, leads a team called “Myotonic Dystrophy, physiopathology & biotherapy” within the Myology Research Centre at the Institute of Myology. After studying at the Louis Pasteur University in Strasbourg, he obtained his PhD in Cellular & Molecular Biology at the Laval University of Quebec, Canada. 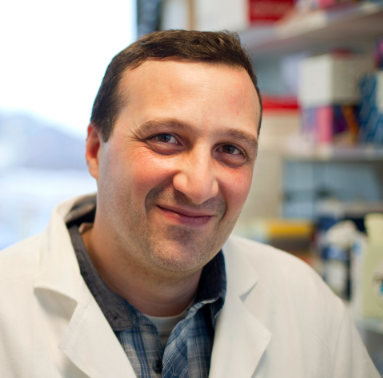 During post-doctoral fellowships in Quebec and Paris, he became interested in myotonic dystrophy type 1 (DM1), an autosomal dominant neuromuscular disease caused by a CTG triplet expansion. After being recruited at the CNRS in 2004 and joining the Institute of Myology, he continued this work focused in part on the molecular mechanisms involved in neuromuscular abnormalities induced by non-coding CTG expansions, and secondly on the development of therapeutic approaches for DM1, toxic RNA gain-of-function disease. Rozen Le Panse joined the Myology Research Centre in 2010 and co-directs the “Myasthenia” team that investigates autoimmune myasthenia. She holds a PhD in Molecular and Cellular Pharmacology from the Sorbonne University (1996) and became interested in intracellular signaling during several years as a post-doctorate fellow at King’s College London, and then in the private sector in France. She is a CNRS research fellow and has studied autoimmune myasthenia gravis for about 12 years. She is particularly interested in aetiological and physiopathological mechanisms involved in myasthenia gravis. She is searching for biomarkers for patient monitoring as well as the development of novel preclinical models as a basis for therapies. Rozen Le Panse has published 35 articles in international journals. 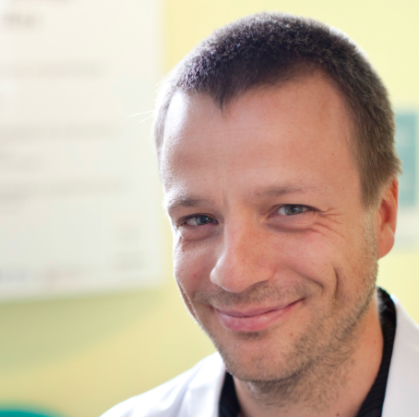 Laurent Servais is a paediatrician (2006) who also obtained his doctorate in 2006, from the University of Brussels. He specialises in Paediatric Neurology (University of Liège, 2009) and holds an authorisation to direct research (Paris VI, 2011). He joined the Institute of Myology in 2008 where he leads the Clinical Trials and Databases team since 2011 and I-Motion Institute since 2015. His clinical activities include paediatric myology counselling, emotional counselling and disability. He participates as principal investigator in many Phase 1-3 clinical trials of DMD and SMA; as head of two clinical translational research programs in DMD, and as coordinator of several international observational studies in DMD, SMA and MTM. Moreover, he conducts research on the central manifestations of muscular dystrophies (Steinert and Duchenne), electrophysiology and has participated in the creation and validation of clinical monitoring, particularly accelerometry. Laurent Servais was named “Young Myologist of the Year” at the World Muscle Society in 2013. He has written and co-authored about sixty articles in international journals such as the New England Journal of Medicine, Lancet Neurology, Molecular Therapy or PNAS. 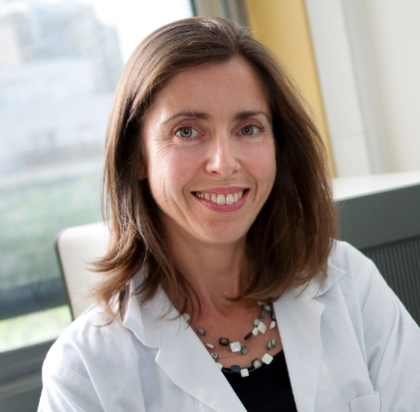 Martine Barkats, is an INSERM research fellow who leads the “Gene Transfer into the Central Nervous System and Biotherapy of Motor Neuron Diseases” team within the Myology Research Centre. After studying at the Faculty of Sciences of Nice, in 1994 she obtained her PhD from the Saints-Pères Faculty of Medicine, Paris, in Life and Health Sciences, specialising in Neurosciences. 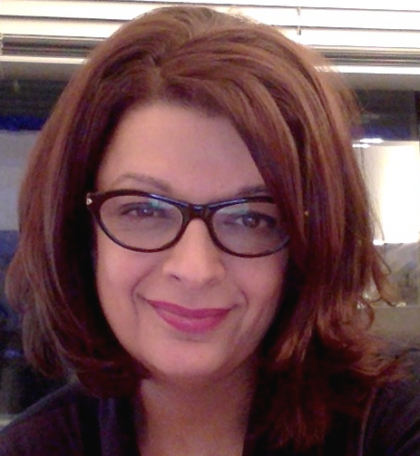 After a short experience in the private sector in France, Martine Barkats joined a laboratory pioneering in molecular biology of the nervous system (in Gif-sur-Yvette and the Pitié Salpêtrière Hospital in Paris) to devote herself to the transfer of genes in the central nervous system and the evaluation of gene therapy strategies in models of neurodegenerative diseases such as Parkinson’s disease, Alzheimer disease and amyotrophic lateral sclerosis (ALS). She was recruited at INSERM in 2001 and obtained AFM funds in 2004 to develop a research project at GENETHON (Evry), on the development of gene transfer strategies in motor neurons using vectors derived from “adeno-associated” viruses or AAV. She led the “Degeneration & Cell Survival” team from 2006 to 2008 and discovered a particularly innovative strategy for gene therapy of motor neurons diseases, including spinal muscular atrophy (SMA), currently in clinical trials in the United States. Martine Barkats joined the Institute of Myology in February 2008 where she continues investigating biotherapies for SMA and developing new therapeutic strategies for amyotrophic lateral sclerosis (ALS) and other neurological diseases. Martine Barkats has published 33 articles in international journals and has filed 8 patents. 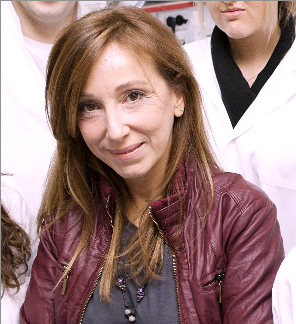 Marcela Gargiulo has been working at the Institute of Myology since 1997, in Neuromuscular Diseases consultation directed by Professor Bruno Eymard. She is responsible for the psychologies team and provides clinical consultation activities for people who have MNM and their families. She is a lecturer and researcher at the University Paris Cité Sorborne. Her research themes are at the crossroads of clinical psychology, psychoanalysis and ethics.